Paolo Taha was a no-show in the game of new team GlobalPort against Phoenix on Wednesday. PAOLO Taha was a no-show in his return to GlobalPort. The 27-year-old shooting guard was acquired by the Batang Pier on Tuesday in a one-on-one trade with the Barangay Ginebra Kings for rookie Julian Sargent. 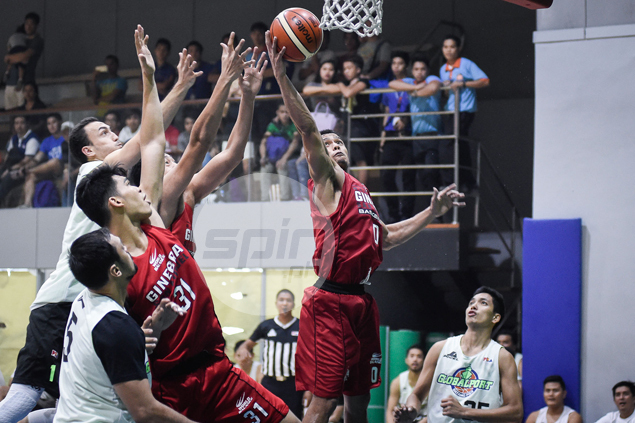 But Taha wasn’t around at the Smart Araneta Coliseum in the team’s 135-108 loss to Phoenix in the Commissioner’s Cup on Wednesday as he was not officially listed in the Batang Pier’s active roster for the match. Under league rules, teams should notify the Commissioner’s Office at least 24 hours before a game of any changes in their roster. “Friday pa siya maglalaro,” said GlobalPort alternate board of governor Eric Arejola. Taha will only start practicing with the Batang Pier on Thursday in time for their crucial game against Columbian Dyip at the Smart Araneta Coliseum. Sargent's case is the same. The rookie Fil-Am wasn't around too, when the Kings routed Columbian Dyip also on Wednesday night, 134-107. Coach Tim Cone said the team's new acquisition will only practice with Ginebra on Thursday and plays his first game for the franchise on Sunday against Alaska. The former Saint Benilde stalwart originally played for Globalport for two years before finding a new team in KIA (now Columbian Dyip) in the 2016 season. After a solid season with the former expansion franchise, he was acquired by Barangay Ginebra in a trade that involved Denice Villamor and Frank Bonifacio. Taha however, was hardly utilized by the Kings, although he won his first league championship after the team retained the Governors Cup title last year despite recovering from an MCL injury.